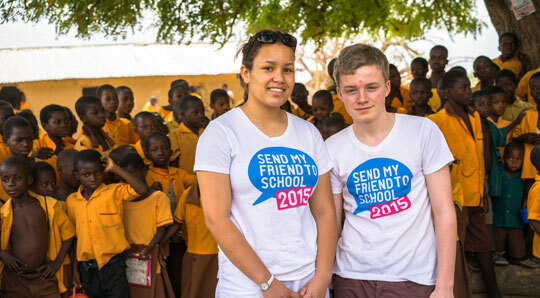 Emily and George from Cardiff won a competition in 2015 to become Young Ambassadors for Send My Friend to School. They had an amazing year, travelling to Ghana with ActionAid, then doing lots of filming, blogging and speeches on their return, all in the name of helping give every child the chance to go to school. Download this case study to read about their year as Young Ambassadors and the impact this experience has had on them.